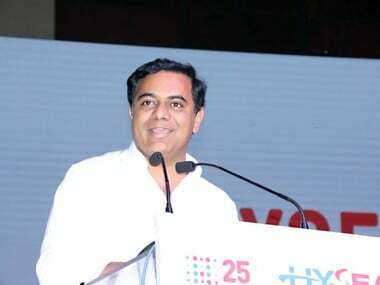 Hyderabad: KT Rama Rao would formally take over as working president of the Telangana Rashtra Samithi (TRS) on Monday. TRS supremo and state chief minister K Chandrashekar Rao had on Friday appointed his son and former minister KT Rama Rao, popularly known as KTR, as the outfit's working president. KTR, the MLA from Sircilla seat, would assume charge as the TRS working president at his new chambers in the Telangana Bhavan in Hyderabad at 11.56 am on Monday, party sources said. The TRS state executive committee meeting, chaired by KTR, had on Saturday decided to set up a public grievance cell at the Telangana Bhavan to receive complains of the public. According a press release issued earlier by the chief minister's office, KTR's appointment was necessitated as K Chandrashekar Rao will have to concentrate on national politics and also focus on various developmental activities in the state. The chief minister believes that the party will further progress under the leadership of KTR, the release added. Chandrashekar Rao returned as the state's chief minister for the second consecutive term on Thursday. 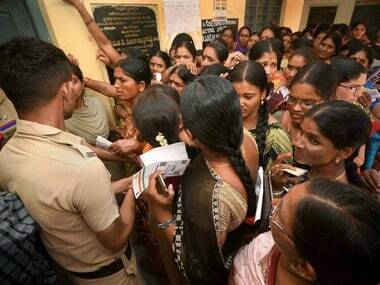 The TRS won 88 seats in the 119-member Assembly in the 7 December polls. Soon after the results were announced, Chandrashekar Rao declared that the TRS would play a crucial role in national politics. 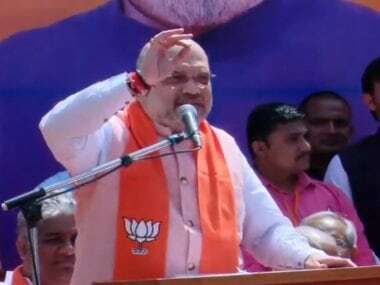 Rao has been pitching for a non-Congress, non-BJP federal front of regional parties to take on the two national parties.